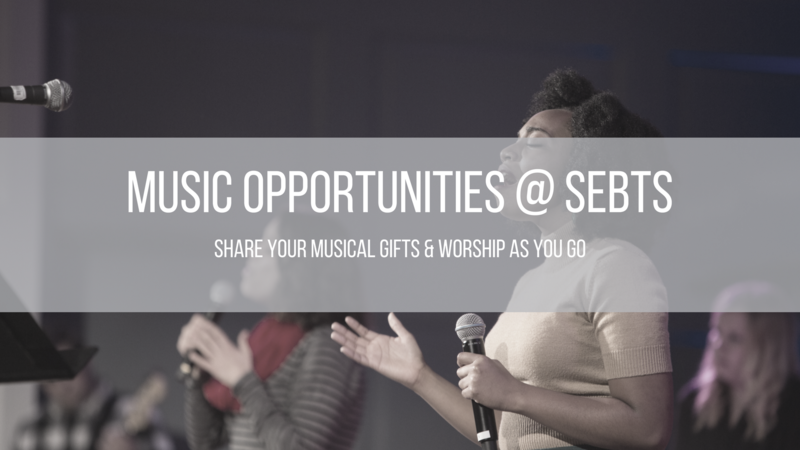 Are you looking for ways to worship through music and build your skills for worship ministry? Consider these opportunities in Fall 2018! Contemporary Music worship teams: Participate in a student-led worship band in designing worship sets, rehearsing, and working with technology, all under the capable coaching of our music and worship staff. Contemporary Music can also be taken for a FREE elective credit. The Kingdom Choir: Join us Tuesday and Thursday mornings from 9:30-10:20am in the Appleby Bethea Room as we prepare to lead worship for a wide range of on-campus events along with other opportunities that extend beyond the campus. The Kingdom Choir will help develop skills necessary to lead effectively in diverse contexts. Musical Skills Classes: To lead musical worship effectively, certain skills are necessary. Consider taking piano class (Tuesdays), a guitar class (Fridays). Beginning piano and guitar classes are open to all Southeastern students. Musical Styles Class: Take the opportunity to examine a survey of musical styles that have developed in Western culture, including classical, folk, and popular song genres and forms. Particular emphasis will be given to musical styles used in Christian worship.